This entry was posted in Save with Style and tagged Accessories, american apparel, americanapparel, Audio, AudreyHepburn, bakers, Baroque, Bodycon, Business, Chain Prints, charlotte russe, color, denim, DIY, eBay, f21, Fall, Fashion, fashionista, Home, important words, leopard, literature, long, OOTD, Platform shoe. Bookmark the permalink. ← United Statement Necklace of Fashion. 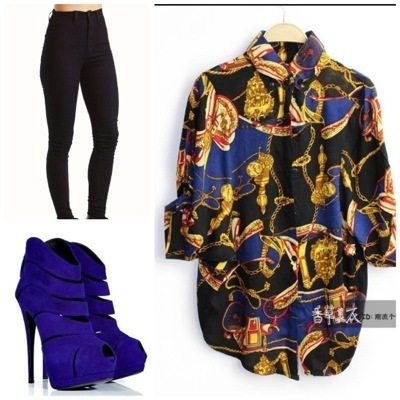 I love that printed blouse! do you still have the link to these shoes?